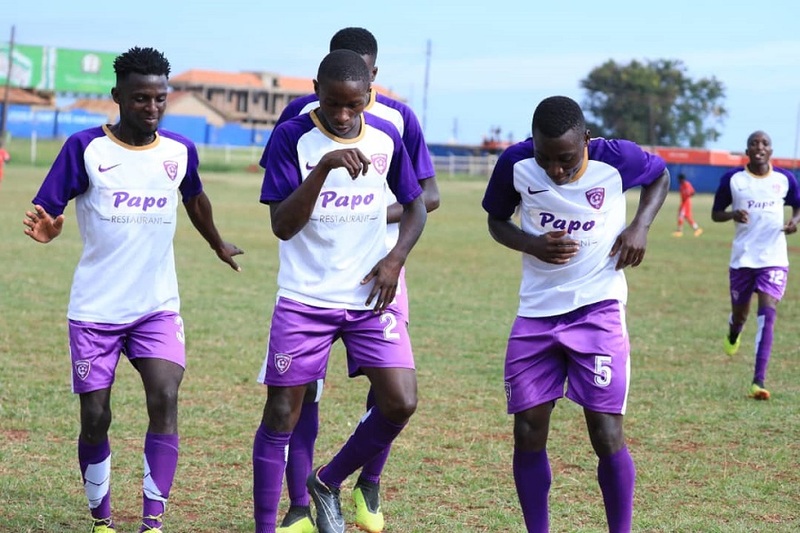 BUGEMBE – Wakiso Giants continued their march towards promotion with a 2-0 victory of struggling JMC Hippos in the FUFA Big League. In the game played at Bugembe, Norma Ojik and Karim Ndugwa were both on target to ensure that Ibrahim Kirya’s side maintain top spot in the Elgon Group. Wakiso started strongly, asking all the meaningful questions and on 5 minutes, Ojik made a brilliant run down the right but his low cross could not find a telling touch and went out for a goal kick. Eight minutes later, Ojik made it 1-0 to the home side, turning the ball in after a goal mouth scramble as JMC failed to clear their lines. The visitor’s first chance fell to striker Juma Balingi on 24 minutes but his shoot went wide of the target. With only two minutes to play in the first half, the visitors were forced into an early substitution with Willy Ochen replacing the injured Kakaire. By the end of the first half, Wakiso were in total control of the game with JMC struggling to create chances. At the start of the second, Karim Ndugwa replaced Abdul Karim Kasule as Kirya made his first substitution. In response, JMC sent on Amos Kairu to try and level matters. Two minutes past the hour mark, Balingi nearly levelled matters, heading a delicious cross from the right onto the cross bar and out for a corner. In an attempt to restore control, Kirya replaced the tired looking Yasin Mugume with Kiwewa. Moments later, Ndugwa who was making his lead debut put the result beyond doubt with a second goal, heading in Hakim Ssenkumba’s well weighted cross. With 23 minutes to play, Wakiso made their last switch, replacing Captain Feni Ali with Duff Lubobi. JMC’s last substitution saw Rogers Kaggwa replace Nasir Sserwadda on 74 minutes. The visitors had a glorious opportunity to halve the deficit but Kairu failed to convert while one on one with the goalkeeper and Wakiso cleared their lines. In the end, Kirya’s side held onto victory and a fourth clean sheet on the trot. The result means that they remain top of the Elgon Group with 26 points, 4 ahead of second placed Dove All Stars who defeated UPDF 1-0 at Bombo on the same day.